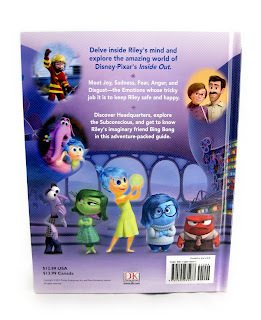 Ever since I was little, I always liked the DK publishing's Pixar "Essential Guide" books...and I still enjoy collecting them today! 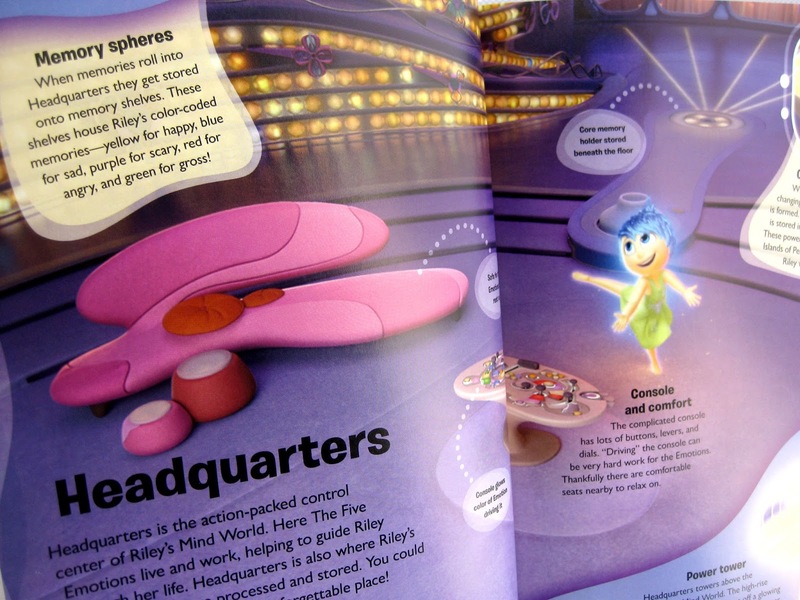 I actually always look forward to these as they're chock-full of lots of fun info about characters, plot points, props, fun trivia ("Did you know?" facts), quotes, stats and much more. 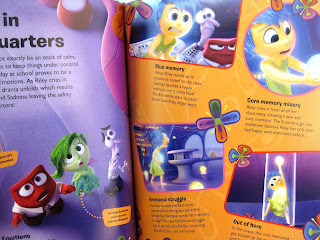 They are definitely geared more to a younger crowed, but they're great for learning so many small details from the films that you might not get from just watching them. 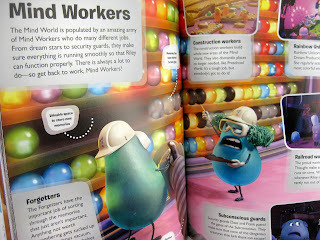 I say they're just as fun for adults, or at least I speak for myself. This new Inside Out Essential guide (released on May 5th) is no different. 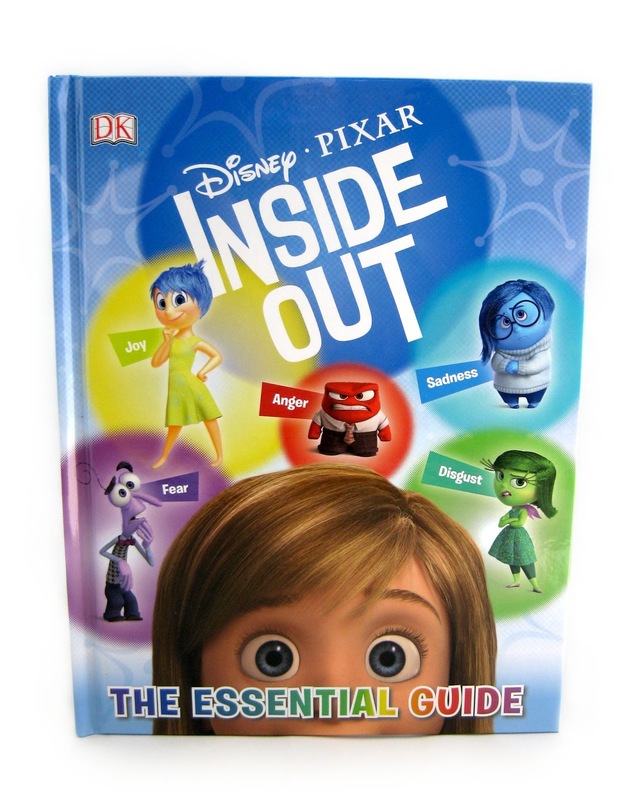 This book is hardcover and has 64 quality, insightful, colorful pages. It really sheds some light on some of the more complex concepts seen in the film with some well written descriptions (including official terms not spoken in the movie- like "memory spheres" and "forgetters" for example). 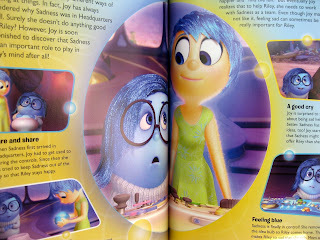 Check out some of the pages below! 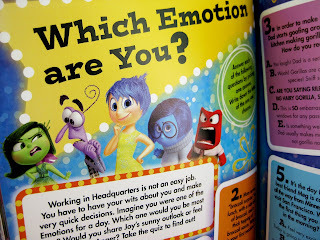 There's even a fun quiz in the back of the book called "Which Emotion are You?". 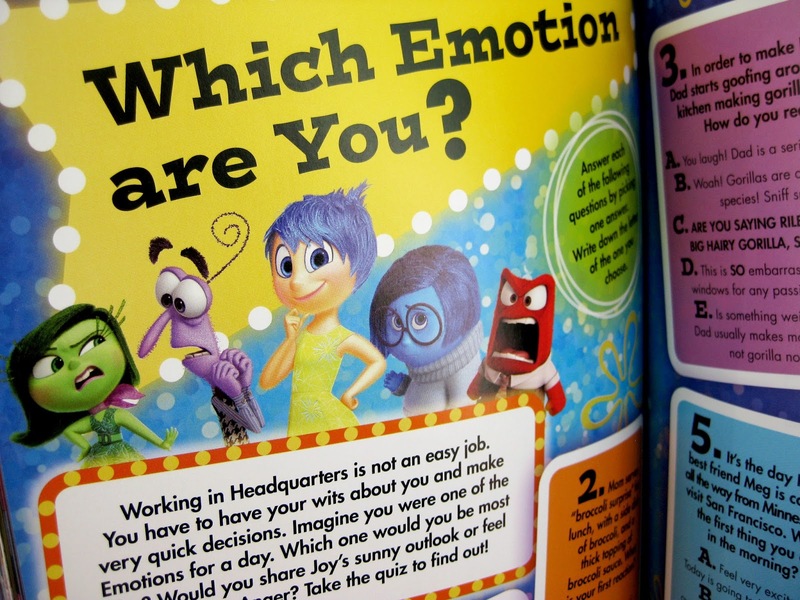 Take it to find out your dominant emotion! 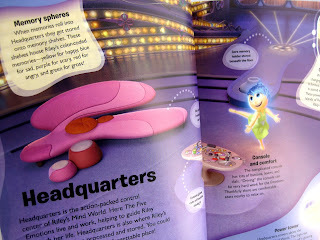 Check out my "Books" label to the right to explore my growing collection of Pixar books and to see more of the Essential Guides that I own. 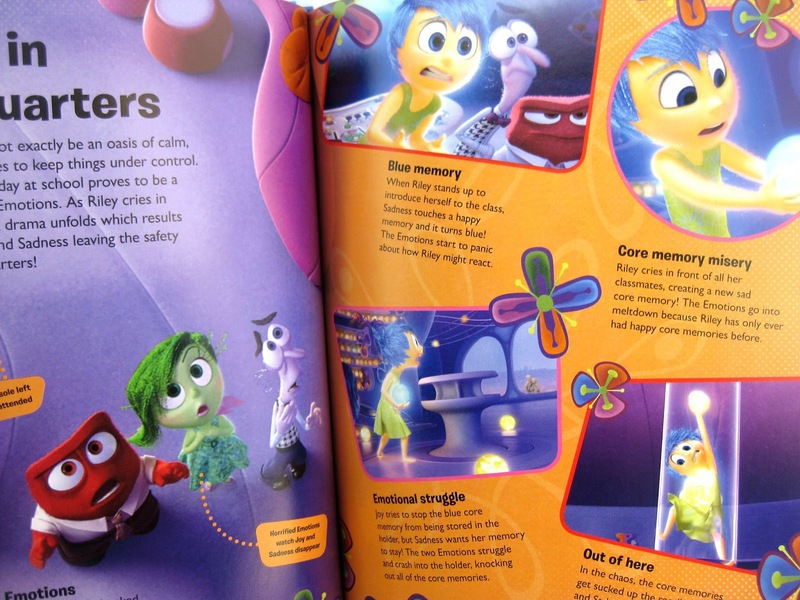 You can find an "Essential Guide" for every Pixar film except A Bug's Life. If you're a fan of Inside Out, I definitely recommend picking this up. You can find it in stores or on Amazon using the direct link below.